The Yellow Oriole, it is a passerine bird in the family Icteridae. 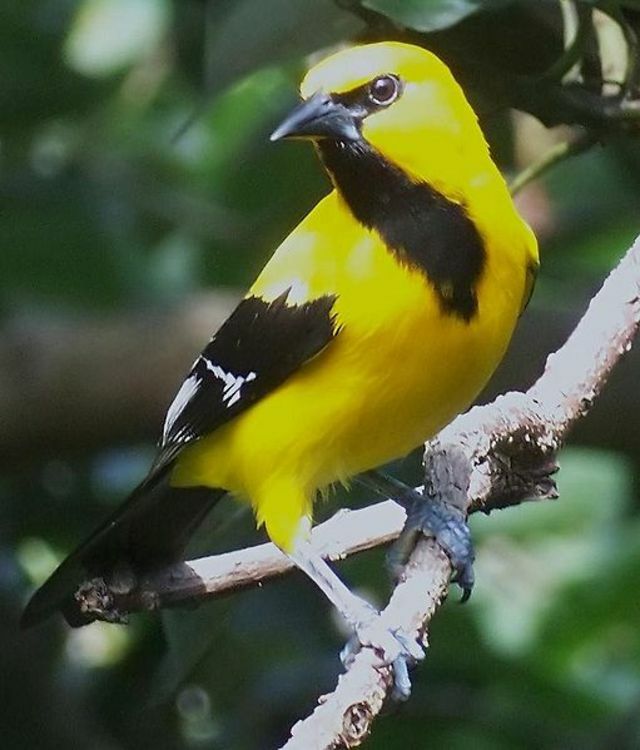 Yellow Oriole breeds in northern South America in Colombia, Venezuela, Trinidad, the Guianas and parts of northern Brazil. The Yellow Oriole is a bird of open woodland, scrub and gardens. Its nest is a 40 cm long hanging basket, suspended from the end of a branch. The normal clutch is three pale green or grey eggs. This is a 20–21 cm long, 38 g weight bird, with mainly yellow plumage, as its name suggests. The adult male has a black eye mask, thin black throat line, black tail and black wings with a white wing bar and some white feather edging.